CTV > News > Services > Acquired, Information Technology > TravelMuse, Inc.
TravelMuse.com is an inspirational travel planning web site that helps people save time and make better decisions by combining stimulating travel content such as stunning photography, professionally written travel articles, and numerous licensed city guides, with powerful planning tools. Founded by avid travelers with various technology, travel, and media backgrounds, the TravelMuse team shares a passion for all things travel and is motivated to greatly improve the online travel planning experience. Site visitors can use the industry’s first Inspiration Finder to discover destinations, build out vacation plans in the TravelMuse Planner, and make air, car, hotel, cruise, and package reservations though a comprehensive booking engine to complete vacation arrangements. 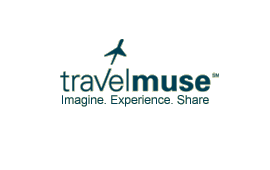 TravelMuse was acquired by Travel Ad Network.